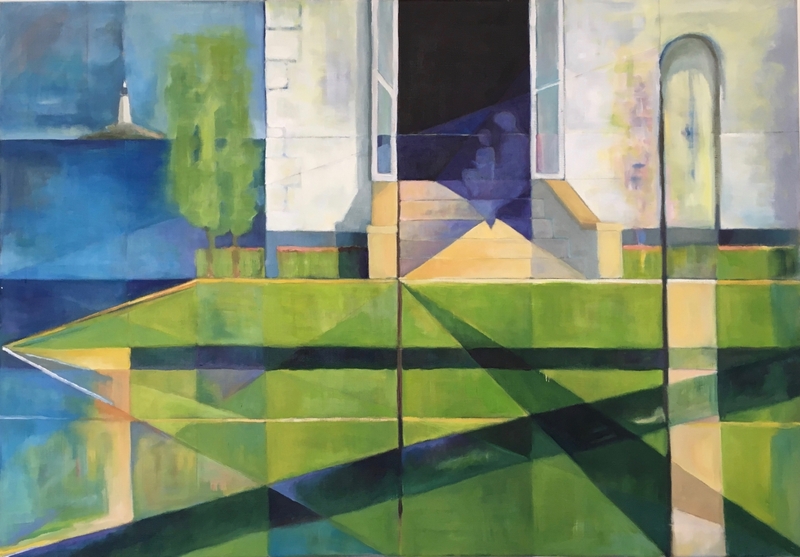 ‘to the palace’, oil on canvas, 70 x 100 cm. In the Out of Place exhibition at One Paved Court. 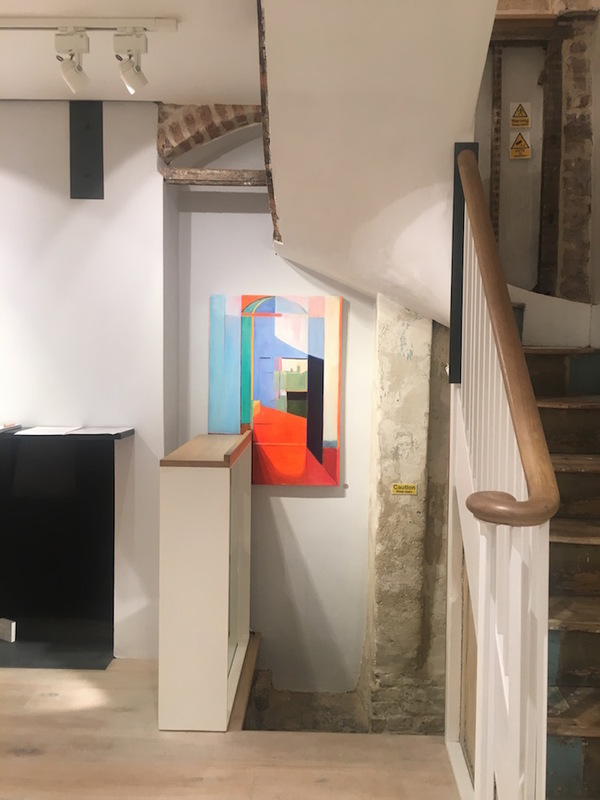 In ‘Out of Place’, Kate focuses on the process of change the building has undergone, and how this is articulated through what has been concealed and revealed. She draws our attention to the way an architect can inform our understanding of the history of a building, and with these works specifically the archway. A site-specific group show of photographs, collage, painting and installation about One Paved Court, 23 Jan – 3 Feb 2019. This painting forms part of the ‘Imagined Realities‘ series. *In To the Lighthouse, Lily Briscoe, an artist, is standing in the garden making a painting. Throughout the novel, clues are given about the composition, amid descriptions of her dilemmas with colour and structure, and her response to people engaging with her work.